We believe every piano is a work of art and that it takes an artist's approach to bring a piano to its full potential. 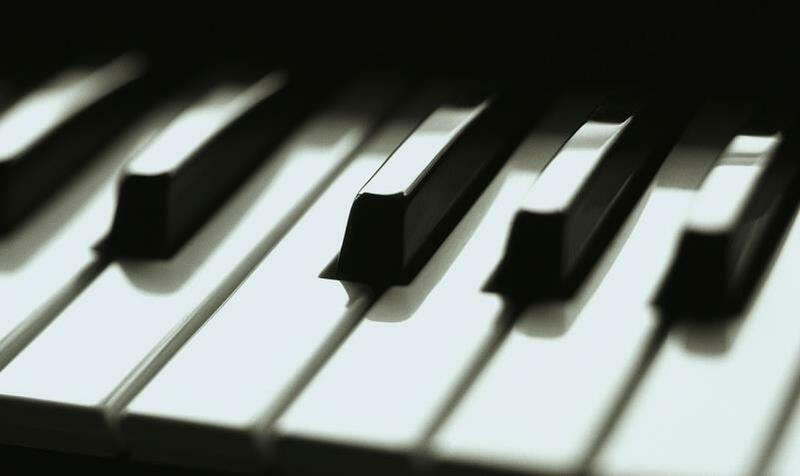 Please browse our website to learn more about the services we offer or your piano. Use the navigation links at the top and bottom of each page. We believe in collaborating with our clients to capture the unique sound and feel available from their piano. We offer a variety of services depending on our clients’ needs: tuning, pitch-raising, repairs, regulation, voicing, cleaning, re-stringing, hammer replacement, refurbishing, rebuilding, etc. We are a full service piano company serving Prince William, Fauquier, Culpeper, and Rappahannock counties and surrounding area in Virginia. Expert, Professional, Prompt Service. All work guaranteed. Email today to schedule an appointment. Or visit our "Appointments" page. Pianos are as unique as their owners. Particularly, as they age, each has its own distinctive character, its unique timbre (or tone or color), its individual feel, and even its own personality. It’s the job of the qualified piano technician to find that character and to bring it alive, to get the very best from the piano. We believe in collaborating with our clients to capture the unique sound and feel they seek from their instrument. At a minimum your piano should be tuned every six to twelve months. In this area of the country, where we experience extreme shifts in temperature and humidity, pianos fluctuate in pitch a great deal; usually going flat in the dry winter, sharp in the humid summer, and everywhere in between in the intervening months. And to make matters worse, it’s a rare piano that fluctuates in pitch in any consistent, harmonious way. By nature, a piano tends to shift in an erratic, uneven manner—resulting in that most unhappy condition sometimes referred to as the “saloon piano” state. You know it when you hear it—that awful, clanging, discordant sound. The unisons (the two or three strings depending on the note) are not vibrating at the same frequency. But this is avoidable! Regular tunings ensure stability and it’s important to keep your piano stable and as close to A440 as possible. Keeping your piano tuned, clean, and in well regulated condition can add years to its life, (and great satisfaction to yours). Your piano is a substantial investment—proper maintenance is a priority. An out-of-tune piano is terrible waste. A wonderful instrument, that might otherwise fill your home with beautiful music and live entertainment, sits idle because no one wants to play it. Pianos add a refreshing balance to our high-tech world. Their music relieves stress. There is nothing quite like the sound of a real piano—we all know it when we hear it; nothing quite like a home filled with piano music. Pianos give us a moment of peace and a measure of simplicity in an increasingly "high-bandwidth" world. You have our promise that we will work with you to achieve the very best sound possible from your piano. In all likelihood, we can bring your piano back to its full potential. That’s not to say we can make a depression-era spinet sound like a concert grand—no one can do that—every piano has its unique characteristics and potential, and every piano is limited by its size and construction, but we can and will do our utmost to get your piano working and sounding its best. We guarantee every bit of work we do—you won't be disappointed. Email today to set up an appointment: amadeuspiano@comcast.net. Or fill out the form on the Appointments page. In the meantime, feel free to browse our site to learn more about your piano and our services. Use the navigation links at the top of each page. Pianos are as unique as their owners. What is "Pitch-Raising" and why do I need it? We are a full service piano servicing and rebuilding company: tuning, repair, regulation, reconditioning, rebuilding. We happily service the following areas: Warrenton, Virginia; Manassas, Virginia; Gainesville, Virginia; Haymarket, Virginia; Bristow, Virginia; Nokesville, Virginia; The Plains, Culpeper, Amissville, and parts of Stafford. We service the following counties: Fauquier County, Prince William County, Loudoun County, Rappahannock County, Culpeper County, parts of Fairfax County, and Stafford County. Except where otherwise indicated, all Copyright © 2009 Amadeus Piano Co. All rights reserved. We guarantee all the work we do. You have our promise that we will work with you to get your piano sounding its best and into the best possible condition. We tune each piano specifically by measuring its distinct inharmonicity, using the finest tools and instruments available, thus ensuring the very best sound and performance possible from the piano. We work carefully and exactingly, using only the finest parts and materials from the industry’s best supply houses and manufacturers. We strive for excellence with every piano. If, for any reason, you are unhappy with our tuning or service work, we pledge to work with you to find an agreeable resolution. Serving Prince William, Fauquier, Culpeper, Rappahannock and parts of Fairfax and Stafford and Loundon counties in Virginia. Manassas, Gainesville, Haymarket, Bristow. Warrenton to Culpeper and Warrenton to The Plains.